Update 3.4 for League of Angels - Fire Raiders, GTArcade’s award-winning strategy RPG, is now out! Escape the summer heat and enjoy a brand new dungeon, new ways to strengthen your heroes, and much more in Fire Raiders 3.4! Let’s take a better look all the new content contained in latest update. With Update 3.4, a new hero progression system called Hero Nexus has been added to Fire Raiders. 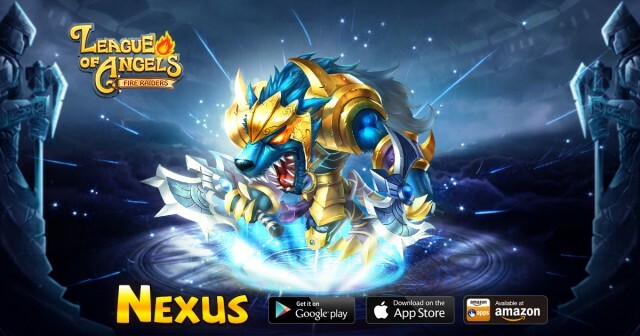 Each of your heroes will have 6 Nexus to unlock, and each Nexus will provide different stat increases for the hero. Nexus are unlocked when the previous Nexus has been upgraded to max level. The first Nexus has a max level of 20 while the final Nexus maxes at level 70. Players will need new Nexus Crystals to upgrade their Nexus, which can be obtained from the new Tyrant’s Lair. 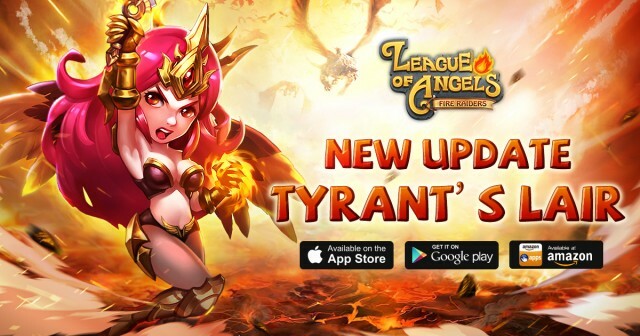 Those of you that have been waiting for a new Trial dungeon should be excited for Tyrant’s Lair, a new Trial where players must descend deep into the lair of the Demon King to face challenges of increasing difficulty. Different from Angel Trial, players must come up with new strategies because once a team has successfully defeated an enemy, the heroes of that team cannot be used again! Tyrant’s Lair is the main way to obtain Nexus Crystals and Rune Upgrade Gems for the new systems so players are encouraged to master this new trial if they want to quickly get ahead of their rivals! Accessed from the Rune interface, the new Rune Upgrade will provide a percentage based increase to stats of ALL unlocked Runes on a hero. New Rune Upgrade Gems will be required which can be found in Tyrant’s Lair. Another wave of Awakened Heroes is here! This time Zweihander, Astral Child, Exorcist, and Bamboo Fighter have gained the power to awaken. Awakened Heroes gain an additional combat skill, bonus stats, and more advanced character models. Many other additions and optimizations are in Update 3.4, such as the new Rune Upgrades, more Awakened Heroes, and so much more. Log in and check them out now! Visit the official Facebook fanpage, website, and forums for the latest news and special events. 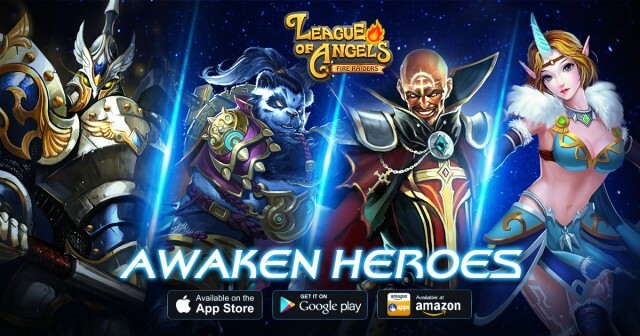 Play League of Angels - Fire Raiders now and experience one of the best free to play strategy RPG’s on mobile! 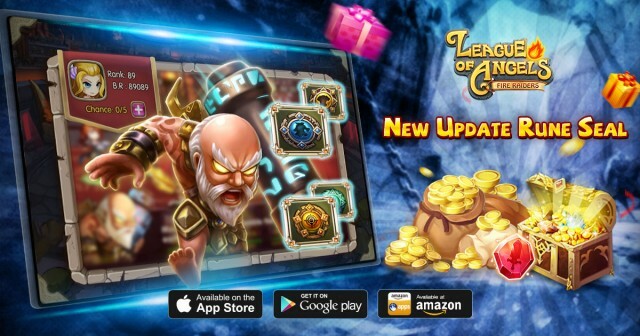 Play League of Angels - Fire Raiders absolutely free by visiting the following link: http://angelmobile.gtarcade.com/? For regular updates, be sure to follow Fire Raiders on Facebook at: https://www.facebook.com/LeagueOfAngelsMobile?